Fox Micron NTX Series - Can they rival Delkims? Re: Fox Micron NTX Series - Can they rival Delkims? I really struggle to see any other alarm knocking Delkim off of there perch at the moment, I have not read anything about these alarms ar tried them so it does make it hard to comment. one thing though "there ugly"
I dont think the fox alarms will ever beat delkims! even now there in the same price bracket you still get more for your money and a better quality alarm from delkims. just the reciever unit alone. 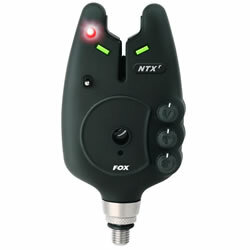 delkim has 6 muti colour channels for six alarms where the fox only has 4 and the looks of the delkim are by far better. I may be being one sided because I am a delkim man my self but if i had the choice i would not pay nearly £200 each for fox alarms.